A balanced diet, regular physical activity, and positive environment are among the most important factors for a happy working life. Besides the obvious humane reasons for wanting everybody to be healthy and happy, it also pays off in terms of productivity and efficiency. Fit and satisfied employees are more productive and they cost the company less. Additionally, it is natural for employees to give their best in a working environment where they feel appreciated and taken care off. This is why every company should put in some additional effort to provide its employees with efficient employee wellness boosting program. Fresh & Clean helps keep your employees healthy at work by providing complete and convenient hygiene solutions. We aim to keep your workplace germ-free and your employees at their optimum health. But not just that, we’ve done a massive research to offer you a list of ‘surprisingly easy and fun’ employee wellness tips that you can emulate and share with your friends and colleagues at work. 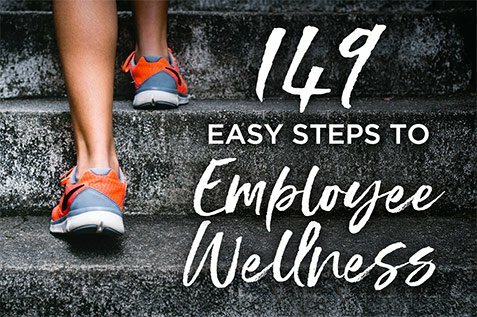 Below are 149 useful tips and ideas about what to do to keep the employees healthy and well while having fun at the workplace. You can hardly eat healthily if you do not have the best quality food to begin with. Try contacting local farms and offering your sponsorship or investment in exchange for a regular delivery of delicious, nutritious, fresh-from-the-farm foods. Try to find farmers, close to the office, who can grow vegetables for staff, as well as free-range chickens and eggs. These are easily consumed in a wide range of recipes. Many office workers would like to eat more healthily but they don’t have inspirational ideas about what to create for lunch. 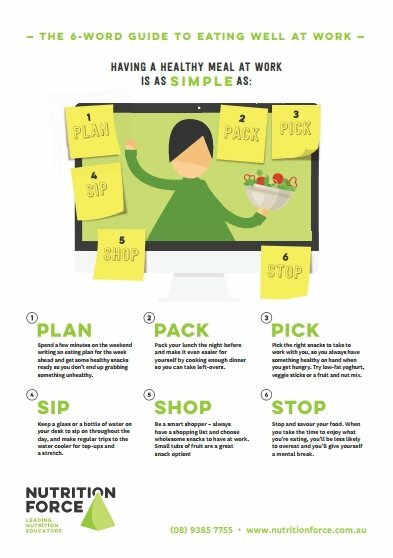 Create an idea board where everyone can put their favourite and yummy healthy recipe for the rest of the office to see. To make it even more fun and spice it up a bit, you can make a weekly contest out of it. Of course, the winners need to bring some of that tasty food for everybody to have a bite! Snacks during work hours usually come down to chocolate, sweets, chips and other sodium and sugar packed items. Offer your employees some mouth-watering, healthier options that are quick and easy to get. 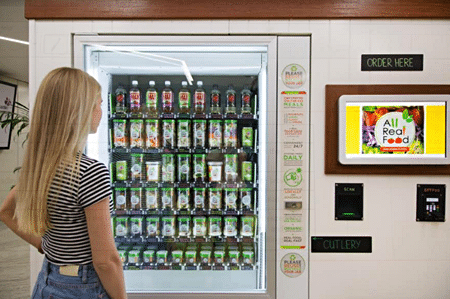 Companies like All Real Food have vending machines that are filled with super fresh mason jar salads, organic vegetarian wraps, and healthy drinks. They offer real, healthy food with traceable, locally sourced ingredients which are also affordable. Making healthier food choices available has been linked to reduced sick leave and increased productivity amongst employees in workplaces. It is so easy to lose track of how much you are eating. Often this happens when you are doing something while eating – like in the office. 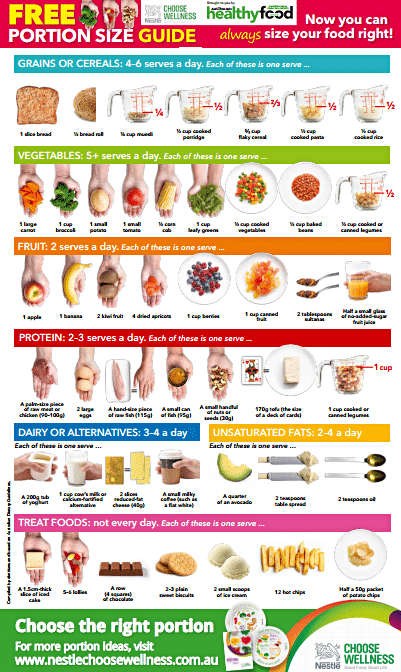 Help your employees control their portion sizes by hanging a Portion Size Guide in your office or office canteen. The second best option is to send out an email with a brilliant serving size guide. Employees can print and hang it next to their desk. You can download and print this guide to help you choose the right portion from Australian Healthy Food Guide. Encourage employees to calculate their daily water intake and stick to it. Staying hydrated is essential for a healthy lifestyle, especially if your employees spend most of their time in the dehydrating conditions created by air conditioning. 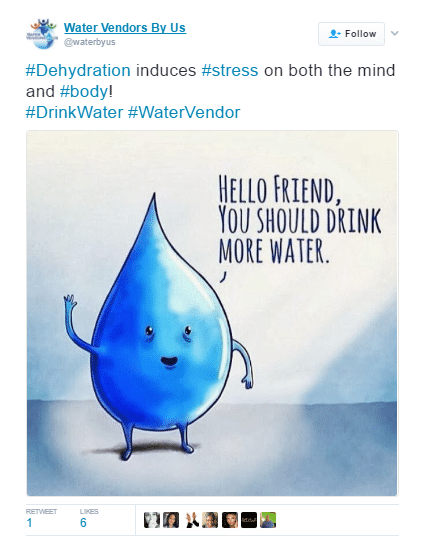 Twitter Post about drinking water to avoid dehydration by Water Vendors By Us. While you’re at it, buy trendy and useful water bottles for everybody, perhaps branded with your company slogan or motivating quote. Get trendy, high-end water bottles that already have volume markers on them, built-in infusers or even gadgets that control your water intake. 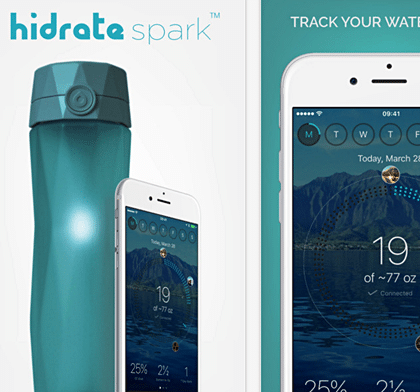 Hidrate Spark produces one of these awesome water bottles and an app. They also recommend using the app without the bottle so users can manually log their water intake and receive cleverly written push notifications to remind them to drink water. A smart water bottle that glows to remind you to stay hydrated with a hassle-free way of tracking your water intake via Bluetooth to hydration app. Sometimes, when we are so occupied with our work, we forget to stand up and drink some water, and even forget the time. So Hidrate Spark gives us this practical tip to always place water bottles in a line of sight. Simply find a place for your bottle on your desk, table or beside your computer. Make it a place that you cannot possibly miss. You can even put a cool coaster for it there, as well. This way, you’ll be more aware of how much water you have had to drink. If the bottle is nearly full, you are not doing a very good job at keeping yourself properly hydrated and you should grab it and take a sip. 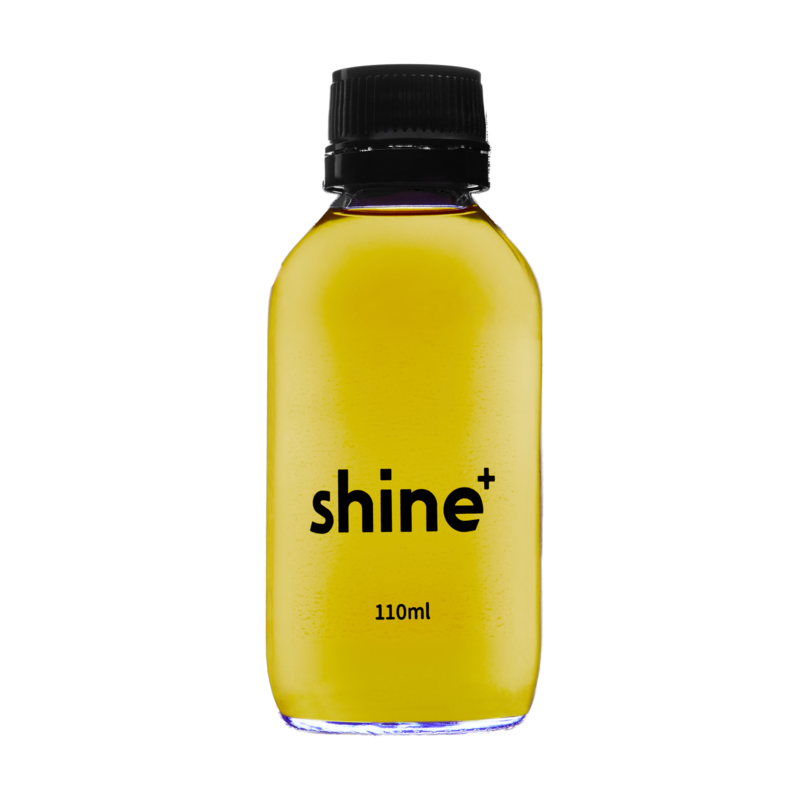 Moreover, the bottle is easily available leaving no excuse for not staying hydrated. It is right there, staring back at you, reminding you to have some water. Tracking your water intake daily can never be this easy using the smart water bottles from Hidrate Spark. Another sensible idea from Hidrate Spark is to take a sip of water from your water bottle each time you stand up to leave your desk. How many times a day do you get to leave your desk and go somewhere else at work? Take this opportunity to drink more water than you usually do. Incorporating this simple habit in your daily work routine would help you drink more water each day. 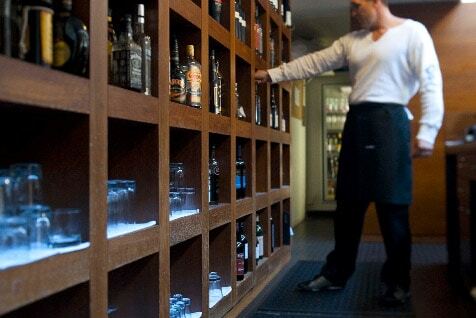 Before you know it, every time you want to leave your desk, your hand will reach for a bottle. Little by little, this neat habit will drastically increase your daily water intake. The same cookbook that you do on a board can be done in a nice, inspirational, old-fashioned scrapbook. Of course, you will need a creative person in the office who loves scrapbooking to help out. The idea is to make an amazing go-to resource when people do not have any more ideas for their lunch for the following day. Chai Chia Breakfast Pudding (great to make the night before and take in a jar to work). Brown Rice Nori Rolls (good lunch option). Healthy and ready to eat Chai Chia Breakfast Pudding, serving and recipe guide by SuperchargedFood. Even when your coworkers decide to start improving their diet, at times, they do not know how to do it. 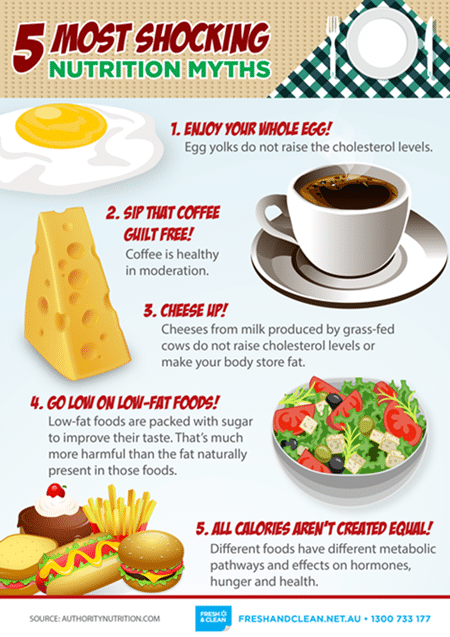 There are a lot of healthy food myths out there. Debunk those in form of posters. Here’s a free poster you can post in your pantry. View larger version or print this poster. Flyers and brochures can be very effective in promoting better health and wellness at work. All the smart and fantastic ideas about healthy recipes, wellness FAQ’s and tips can be put into a format that your coworkers can take home. Print out cool flyers and brochures, or find some online. Place them in your office pantry, the lobby, or your mini library. It does not only get the health tips and recipes to your employees, they can also share it with their families and friends. For example, take a look at the tip that comes from the Nutrition Force. You can use their PDF to print out and distribute around your office. It already includes their company name, so you don’t have to worry about the copyright. So many veggies have so many fantastic properties. Pick a super veggie every week and invite coworkers to share mouth-watering recipes, make and share freshly made dishes and learn about the benefits of a certain super-vegetable. 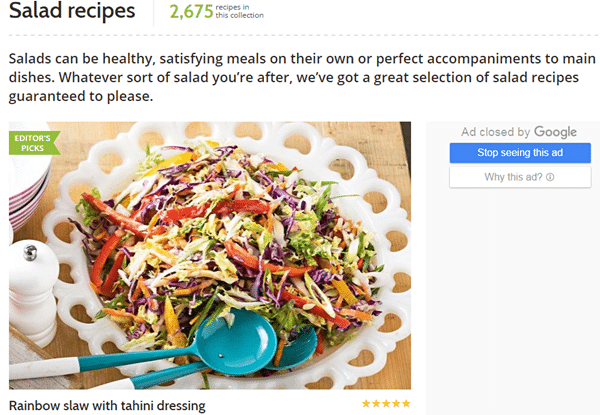 Live a healthy lifestyle and choose among the thousands of vegetable salad recipes. Cook it and share it with your colleagues. Tailored cooking classes are a great opportunity for employees to experience and learn the benefits of better nutrition for their health and performance. They can bond and be competitive at the same time. Not to mention – these courses are great fun! There are teams of health enthusiasts, dietitians and nutrition consultants who can host a tailored cooking course for your office. Offer to chip in for an amazing and useful healthy food cooking course or organise a great cooking class for the office. The Nutrition For Life team offers excellent training in Workplace Nutrition. Their services are a real boost for the office morale and your employees eating habits. Invite a fantastic chef to come into your workplace and teach your employees how to make healthy office lunches. Samantha Gowing of Food Health Wealth is a leading spa chef and award-winning clinical nutritionist. She says that there are wellness information overload, fad eating trends, and superfood confusion. People like her can definitely help. 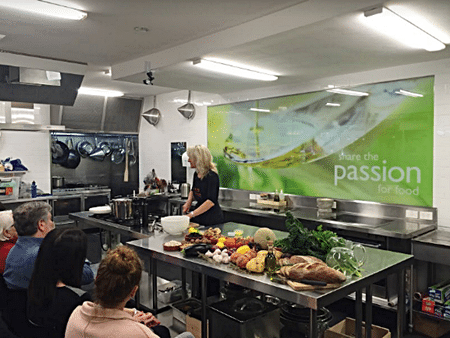 A fun afternoon corporate cooking session with Chef Samantha Gowing. Overeating is not only a matter of good looks but health as well. Invite employees to download apps like Cron-O-Meter or MyFitnessPal and track their calorie intake. MyFitnessPal allows you to create meals, track food by barcode scanning and even check your daily intake of different nutrients. Chrono-O-Meter does not have such community, but it has easy options for those that follow certain diet regimes, like paleo, vegan and the like. 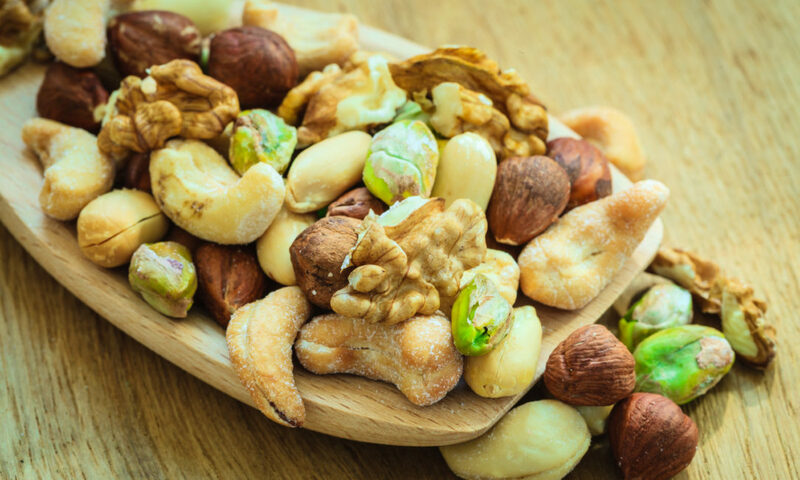 To encourage this, you can keep bowls of these snacks around the office, instead of the usual sweets. Julie Meek (Accredited Practising Dietitian and Performance Specialist) also says that it is best to throw out the lollies from the workplace and replace them with fruit bowls. Caroline Trickey from Healthy Home Cafe has an awesome idea about how to get some nutritious soup while in the office: make a large pot of soup during weekend, portion it a freeze for the entire week. Soup best travels frozen as it won’t spill. 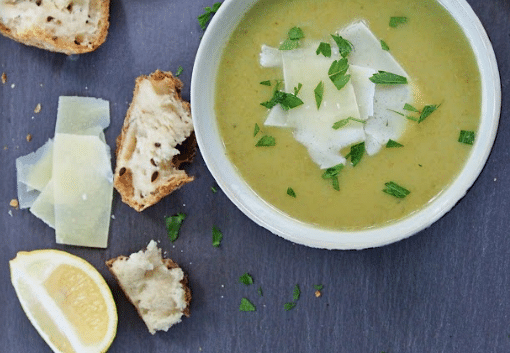 Broccoli Soup with Parmesan Cheese and Lemon Recipe from HealthyHomeCafe. Another amazing tip from Caroline Trickey and Healthy Home Cafe is to take the time during weekend to prepare some of the ingredients that you can just freeze and throw in together later during the workweek when you don’t feel like cooking. She suggests making a weekly meal plan and sticking it to the fridge door, for example. She even offers a meal planning template that you can vary from one week to another. Suggested ‘easy to prepare’ weekly meal plan by Caroline Trickey. Download or print this. Smoothies and mocktails are known to be nutritious vitamin bombs. 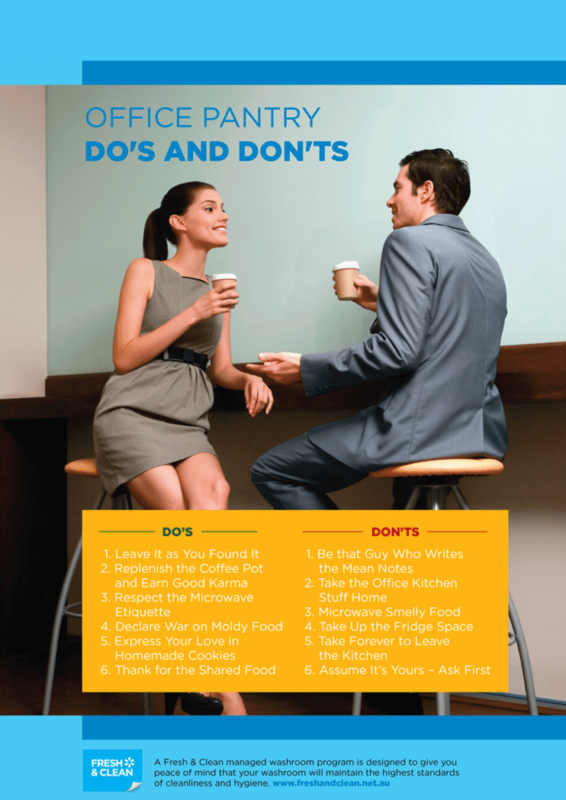 Share the recipes around the office. Buy a blender and tall smoothie and cocktail glasses for your coworkers to make mouthwatering, heavenly healthy drinks. Here is an idea from Ryan and Lee-Anne who run Taste Organic. Downloadble refreshing power smoothie poster. It is hard to eat perfectly well every time, but there are always choices. Make a board that has a column “Leave that” and another one saying “Better have”. Ryan and Lee-Anne who run Taste Organic remind us that there are healthier alternatives to potato and corn chips abound; try kale or lentil chips, seaweed snacks, black rice crackers, and Kitz seed crackers. Julie Meek also reminds people to avoid deep-fried and battered items such as crumbed sausages, schnitzel, chips, fried chicken or fish, pastry products such as pies, pasties, sausage rolls and quiche and those gigantic muffins and cookies! Everybody should bring their favourite salad to work on Tuesdays. Swaps, tastings, and fun can all be scheduled for the lunch hours. This will inspire your coworkers to get creative and a bit braver about their taste buds. While you’re at it, try to have in mind the great tips about making salads that come from Ryan and Lee-Anne who run Taste Organic. They advise you to try to include all the colours for a wide selection of phytonutrients and antioxidants, quality protein such as organic free range egg, quinoa or smoked salmon, and healthy fats such as avocado, activated nuts and seeds, and olive oil. 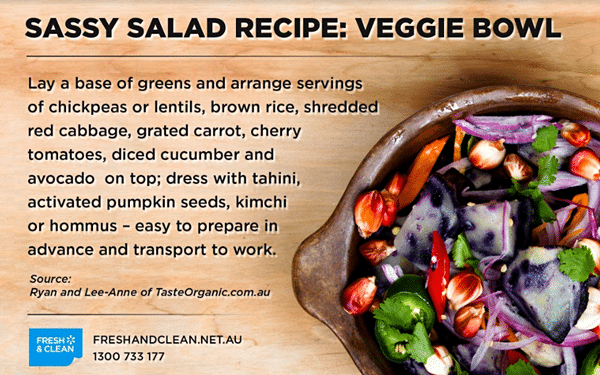 Downloadable Sassy Salad Recipe: Veggie Bowl, a healthy recipe from Ryan and Lee-Anne. Andi Lew is a Certified Food, Lifestyle and Wellness Coach and she emphasises that there will be tough days when it comes to keeping up the healthy lifestyle. She smartly claims that you should figure out your reason for wellness and write it down. Getting back to it in those days when your motivation is low will help a lot. She suggests the following format, jotted down in your book. I, (name) would like to…. So that I can ….. The second part is your WHY. Food Standard for Australia and New Zealand Working Group found that there is an anxiety triggering level when it comes to caffeine. For adults, it is 210 mg.
Raise the awareness about drinks that contain caffeine and invite coworkers to keep it under 200 mg. If you choose that your caffeine dosage is about to come from coffee or tea, make sure that it’s organic coffee from reliable suppliers. “When you’re at work, try swapping your large cap with 2 sugars for a green tea. Green tea still contains caffeine (in a smaller dosage), but it also has a substance called L-theanine. This works alongside the caffeine to enhance your alertness, but it also helps to reduce the crash and anxiety that is sometimes associated with caffeine intake. Encourage employees to bring healthy lunches from home by giving them trendy and cool lunch boxes. 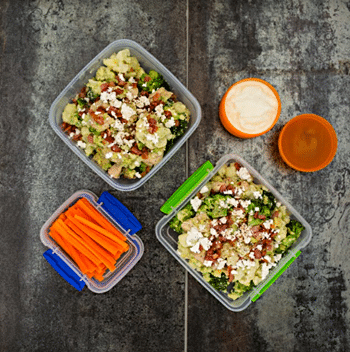 Here are some awesome lunchbox friendly ideas from The Nutrition For Life Team. Office lunch in a box, image from Kate Dowling of Nutrition for Life. People do not usually love kale. Still, they eat it because they are aware of its healthy properties. Get posters that explain why a certain food is good for you. Present veggies as problem solvers and not just food. Lots of informative fruits and vegetable posters on this Pinterest board by LearningZoneExpress. Better Health suggests that adults need two or three servings of fish per week. Include yummy fish in your office canteen menu or offer savory fish based lunch options at least two times a week. Be healthy by including fish in your weekly meals. 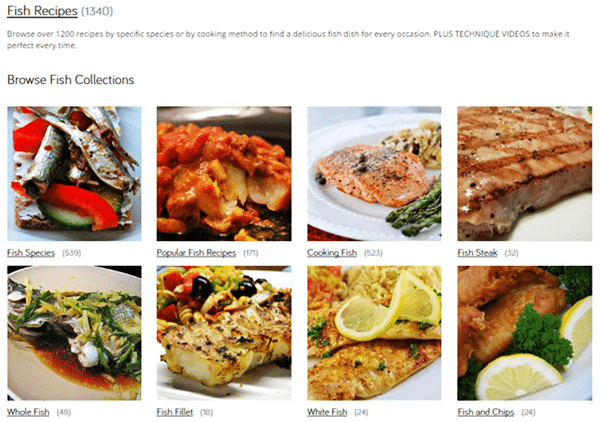 Check out this collection of fish recipes from All Recipes Australia. Fish and black rice crackers: sustainably sourced canned fish, such as salmon, tuna, mackerel or sardines, provide not only a filling serving of protein, but also brain-boosting omega-3 fatty acids, and vitamin D and calcium to support your immune system and bone density. As a business owner, you will probably be able to get a better price on some supplements if you buy them in a bulk. Discuss the supplement choice with your employees. Make sure you include vegetables or salad with all meals. Have a look at some of Caroline Trickey’s quick salad and salad dressing ideas for inspiration, as salads (or any other food you eat) should not be boring! 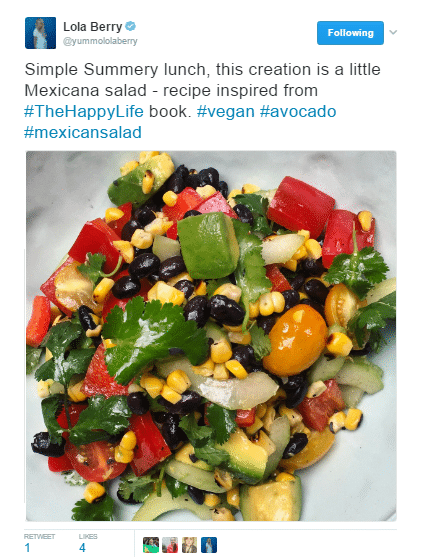 Twitter post sharing a colourful veggie salad meal by an Australian Nutritionist and author, Lola Berry. If you have a yoga guru amongst yourselves – great. If not, do your research and find corporate yoga classes that will send somebody to your offices and give you yoga lessons tailored to your needs. Debby Lewis, the director and yoga teacher of Corporate Yoga Australia reminds us that everybody can do yoga, regardless of their age, shape or size. They just need to make sure that they practice yoga at the level they feel most comfortable with. She also suggests that any boardroom yoga class should be conducted by an educated teacher who understands the different abilities and levels of their learners. Another important thing about boardroom yoga lessons is consistency. Scientists claim that those who sit down for 8 hours a day increase the risks of premature death up to 60%. They also say that one hour of physical activity can cancel out the negative effect of the sedentary office work. 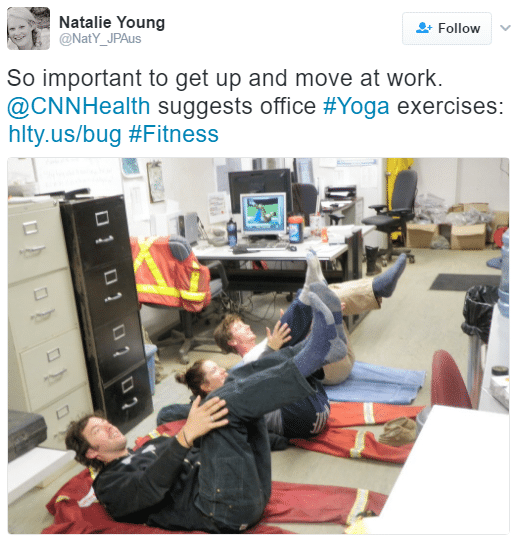 Twitter post about doing some quick exercise even at work by Natalie Young. Still, you will feel much better if you squeeze in a short, 2-minute exercise routines every hour that you sit in the office. You can find awesome ideas in form of pictures, but also some stellar videos for the office workouts. Hiking is awesome for your heart and your lungs. You get some fresh air and you get this amazing opportunity to chat with your coworkers and get to know them better outside the office. Also, you get to enjoy the strikingly beautiful nature, which is always calming and relaxing. 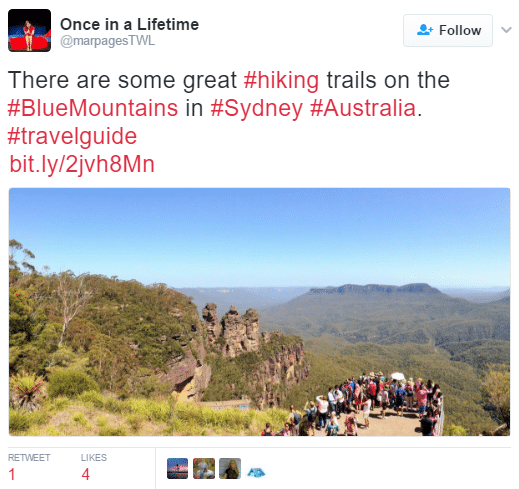 Twitter post about hiking trail ideas by Once In a Lifetime. An exciting sports day will break the monotony of the office. It will also build the team spirit. Moreover, you can turn it into a charity event. 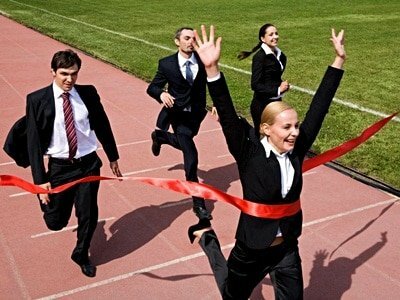 Allow your employees to have a break and bond together through organising sports days. Image from corporatesportsclub.com.au. It does not have to be a professional gym, but a well-ventilated space for workouts and a bit of equipment can make all the difference. Home Fitness Guru says that a small gym with a rowing machine, an exercise bike, and a treadmill is great. A pretty fun way to get access to the kind of movement that the body really needs. A home gym system would be good as well, as they use very little space, but provide a variety of exercises. Cycling is absolutely amazing for you. It’s the most eco-friendly way of transportation and it is fantastic for your fitness levels. 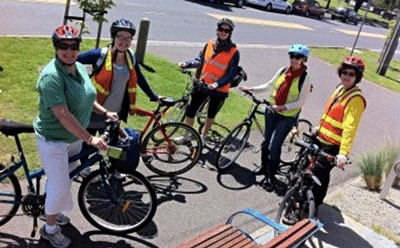 Some of the companies even offer incentives for their employees to move closer to their workplace, so they can cycle to work. You can, at least, offer to buy off the old bikes and chip in for new bikes. Also, you can have your on-call bike repair service that will repair and service your employees’ bicycles for free. Using a bicycle to go work isn’t only good for the health but good for the environment too, image from Bikes at Work. In the era of mobile devices, there’s an app for everything. Luckily, there are tons of amazing health and wellness apps, also. help you keep track of how far you’ve walked and how many calories you’ve burnt. 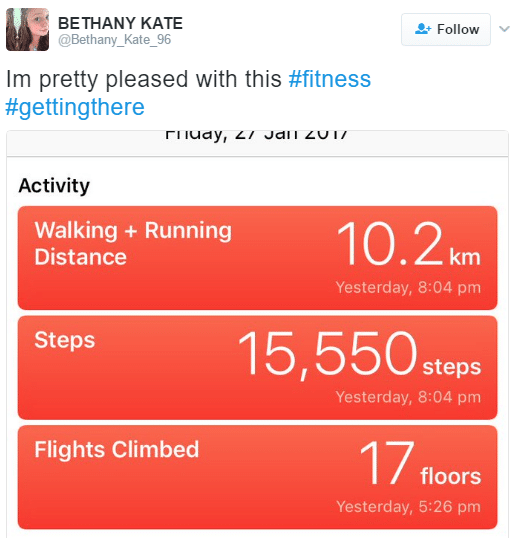 A wellness app update Twitter post by Bethany Kate. Inspire your employees to use them. Check out this list of widely used health apps to help your employees achieve their health goals. These are very fun and they make cool exercise. You can organise races or simple joyrides around the block. Here’s a refreshing video that would entice us to get one to use for our everyday commute. New South Wales Government published that 10 minutes of stairs burns 500 kj. Use their posters to remind employees of good things that come from taking the stairs. You can download the NSW Take the Stairs posters from their website. Taking important steps for the benefit of your heart from 8700 Find Your Ideal Figure. Fitness testing is not just for athletes. It can also be done to help determine the health status, as well as the physical shape of your employees. Knowing these details is precious to anybody who wants to lead a healthier and better life. It helps your employees choose an exercise program that would fit their lifestyle and abilities. There are different types of fitness testing. Bring in a coach and let your employees get tested for free. It can just be that final nudge toward a healthier lifestyle for some of them. A lot of gyms will be very open to some sort of cooperation. Sponsor monthly membership for willing employees or at least get three-time slots a week when the gym is reserved for your employees. Work something out with a local gym. Some people hate working out in public. They can use exercises that are done at home. There are many workout routines that can be done that way. Introduce them to your employees or offer to pay for the beginner’s DVDs. Dancing is a fun activity that brings people together, gets that heart pumping and eliminates stress. Include regular dance nights/days in your office routine. Do it with or without an instructor. The same goes with Zumba. Make a chart and invite employees to make a weekly cardio commitment. Each time they do it, they get to tick off their progress. For example, running 3x a week. Stairs every day. Office tournament sounds exciting? It should because it really is. Offer to prolong the lunch break for half an hour, if that time is spent shooting some hoops and playing basketball. Moreover, listen to Julie Meek and allow flexibility in work schedules to fit in an exercise of any type. The same idea with the basketball hoops can be applied to the ping pong table. Only, this can be easily installed indoors, as well, so it might be a better idea for some offices. Why not both? Hand washing is one of the best ways to avoid getting sick and transferring sickness and diseases in the workplace. Encourage your employees to regularly wash their hands or use hand sanitiser whenever needed. 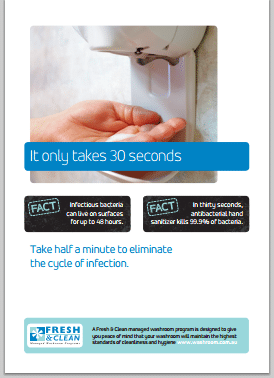 Here are useful hand washing posters you can post in your office to remind your employees to value hand hygiene. Encourage your staff to sanitise their hands. Download and print this poster. 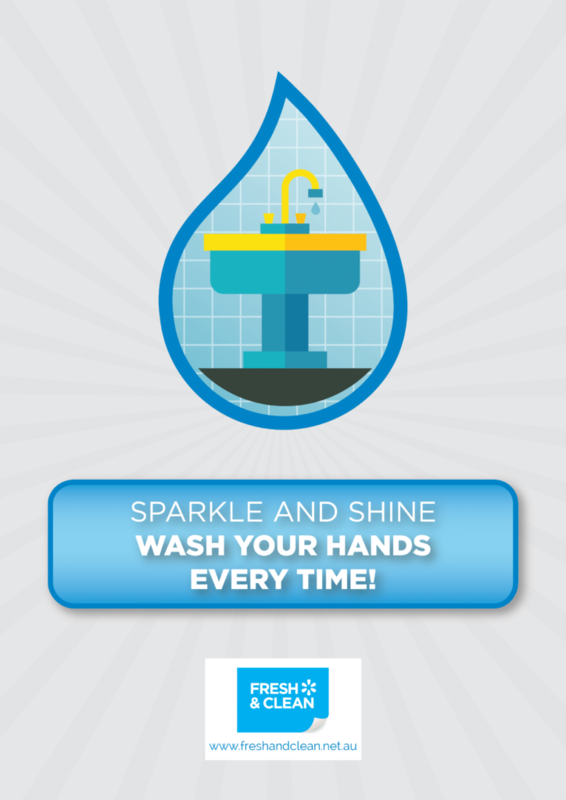 Download and print this poster to encourage frequent hand washing. 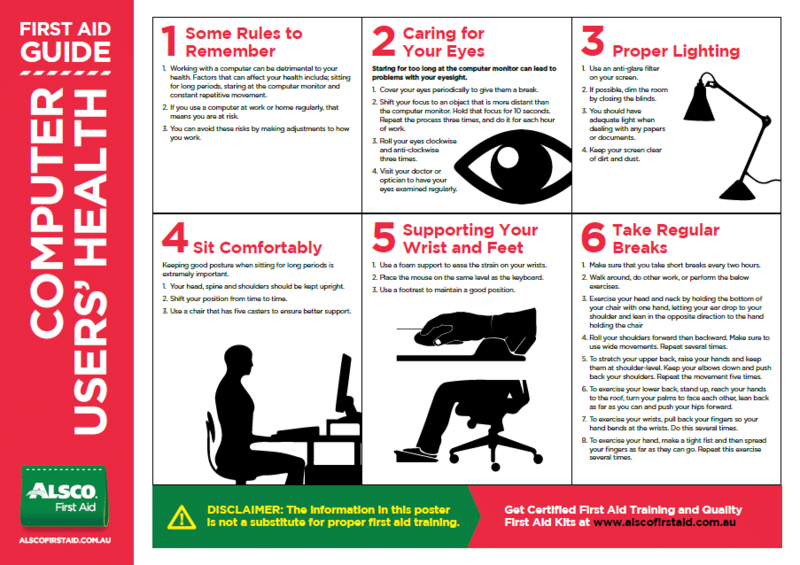 Lots of hygiene posters available in Fresh & Clean’s Hygiene Resources, too. Standing workstations can do wonders for your health. Still, you should allow your workers to work into it. From those that already tried and loved standing workstations, here are some tips. If you opt for an awesome standing workstation, you may want to include anti-fatigue mats for your workers, to help them take the stress off their knees and back. Alsco’s anti-fatigue mats for comfort and safety. Balancing on a Pilates ball instead of sitting on a chair is a strikingly great way to do some isometric exercise while you work your office job. It strengthens the core and leg muscles. Moreover, you can always use this to stretch your back when you get tired. A study suggests that workers that spend a lot of hours at their desks every day should try to include a five-minute break to walk every hour, and do some exercise or longer walks during lunchtime and in the evening. This directly results in lower risks of death, according to the same study. 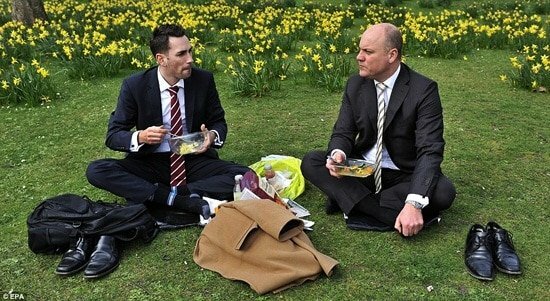 Encouraging enjoyable walks during lunch time can help your employees shrug off the stress. It will make them feel energized and refreshed every time they get back to work. 51. Who’s the real Slim employee? Please, stand up! Home Fitness Guru advises to stand up more in their offices. Namely, whatever you can do standing up, you should. Check your emails on your feet or make a phone call in that way. Let’s face it – your employees would rather be home with their family than in the office. Would they do some work there? You bet. Work out a way for them to work outside the office, online or simply to take their work home. Happiness expert, Dr. Bruce Wells also suggests that flexible working hours, part-time options, as well as working from home make the employees feel more satisfied with their company. Let your employees experience and enjoy the benefits of working in their own homes. You can do it by random selection or you can let your employees pair up on their own. The idea is to have somebody to workout with. Somebody to inspire you, motivate you and push you out of your bed on a slow day. If there is nobody available in the office, encourage employees to find gym buddies online. Eliminate the excuses for not working out even before they are said out loud. Truth be told, nobody likes coming to work cycling and then sitting all sweaty throughout the work day. Get lockers and showers. This is also one of the awesome things Julie Meek recommends. Moreover, make sure that your office washroom is perfectly clean. Fresh & Clean can help you with that. According to the recommendation of Home Fitness Guru, it is great if you can exercise for at least 30 minutes, a day. Still, if you can only do it for 15, that is still better than nothing. So, don’t give up on your day and make peace with the fact that it’s just another sedentary day for you if you don’t have an hour for a workout. Do 15 minutes! Your employees don’t have to go to the gym to workout each day. A simple 5-15 minute workout at work can be as effective. Do this twice or thrice every workday and you’re good to go. Physical activities like taking the stairs, sitting up straight, desk exercises, and walking can do the trick. There is an entire array of activities and exercises that you can do in the office suggested here. Your coworkers are already familiar with the most of them. So, why aren’t they already doing those exercises? Simple – they forget. You know what can jog their memory? Awesome workout posters in the office. Office Workout poster from Nanoworkout.com. FitBit bracelets are fitness gadgets that can help keep your employees stay motivated during their efforts to improve their health by keeping track of their daily activities, exercise, sleep, weight, and food. FitBit bracelets are stylish, effective and they make excellent inspiration for everybody, regardless of their fitness levels. Giving away useful gadgets like Fitbit as performance rewards does not only boost health awareness, it can also motivate your employees to perform better at work. Cycling while working is now possible in your office by an innovative DeskCycle by MagneTrainer. Bicycle chairs are a great idea for those that cannot afford to cycle to work or have very limited timeframe for workouts. They come in different shapes and sizes, shop around to find what works best for your office. Check the table that includes the allowed quantities and implements them. Otherwise, it can cost you your health and your money. Sit up straight! Ever had your mother tell you that? Well, you might just hear it in your office as well. Create subtle reminders for employees by placing attractive posters on kitchen walls or washroom areas. Everyone will see the poster about the correct posture and be reminded to sit up straight, easing tension and helping back muscles strengthen. These should be on the walls, or in the form of table advertising stands. View larger image/Download or print this poster. The state, shape, design and comfort of your employees’ workplaces have a substantial impact on their satisfaction and productivity. By enriching and improving the workplace, you are directly influencing your employee satisfaction. If you make some really smart choices, you can even benefit your employee health and wellbeing. For example, adding anti-fatigue mats for workers who need to stand for long periods of time. 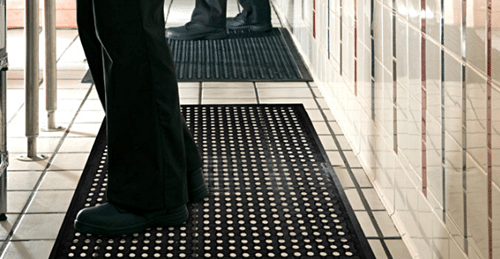 Alsco has amazing anti-fatigue mats that are perfect for jobs that require prolonged periods of standing. They are easy on your spine, knees, feet and the general posture, as well. These should keep your workers’ feet and body comfortable while working. Anti-fatigue mats for standing workers. Winter season is usually the flu season, too. Our first line of defense against flu viruses is the flu vaccine. Flu vaccines are the smartest way to prevent the infection before it even occurs. Immunise Australia Program gives out all necessary information about flu shots, when to get them and who can get them for free. To prevent a flu outbreak at the office, send out flu shot reminders before the flu season strikes, at least in the form of an email. There is always more to learn about how to make their lifestyle healthier. 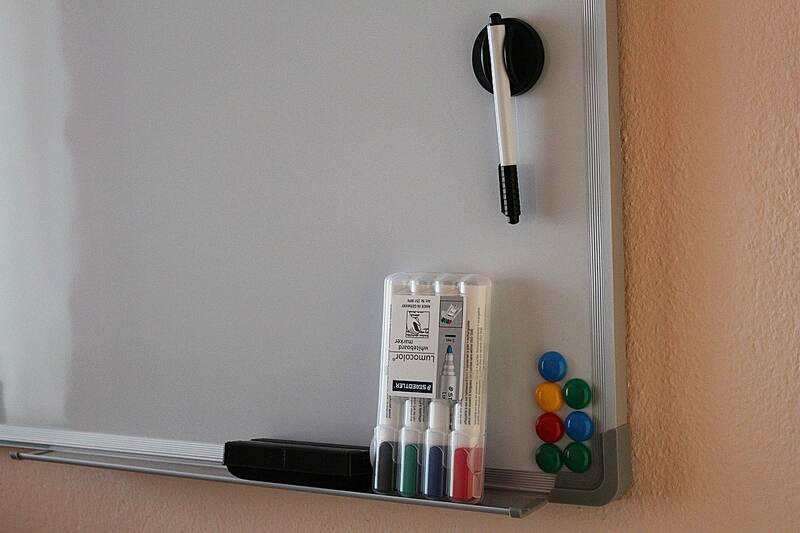 Get a whiteboard for everybody to write their revolutionary or just efficient everyday ideas about wellness. These can include excellent stress-reducing techniques, recipes, routine tips and many more. This board can serve as an awesome source of inspiration. Make your wellness idea board attractive using these coloured markers and magnets from Pixabay Image. To boost happiness levels, you need to make sure that people mingle and talk to each other. This will not hurt productivity if you have collaboration office space. 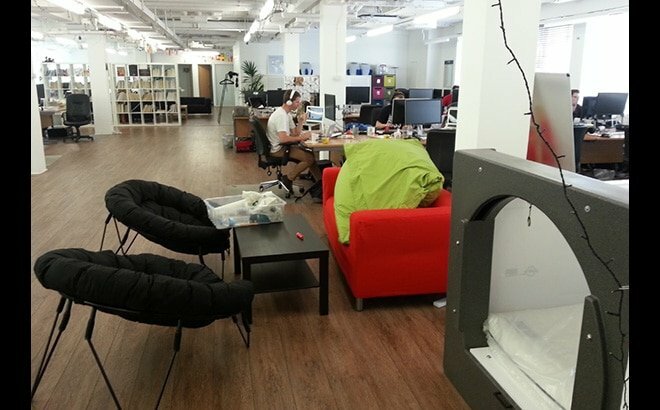 Employees can go there when they need to bounce ideas off each other or just look for inspiration. 66. Everybody loves a big fridge! Having an office refrigerator allows your employees to conveniently store their healthy snacks and home-prepared lunch for the work day. One way a big fridge helps your employees get healthier is by allowing them to make their own lunch or snack and bring them to work. This means they will not just go and buy junk food, unhealthy snacks or overly processed restaurant meals. They will eat fresh, homemade meals. Moreover, during lunch time, if someone stays in the office to eat their home-prepared lunch, it’ll probably only take 30 minutes or less. They can spend their extra time relaxing, socialising, doing some exercise, or going back early to work. On the other hand, if they go out, it probably would take more than an hour for them to get ready, eat, and return back to work. That will count as lost time for every employee. Aside from your pantry fridge, how and where you eat is very important. The canteen is not just a place where people eat during lunch breaks. It is a common place where your employees can bond and socialise before they head back to their professional duties at work. That is why a nice and cozy canteen or pantry is an obligatory thing at a workplace, pack it with healthy meal options and let it boost satisfaction levels, and consequently improve productivity and employee wellness. Get some fresh air into those lungs. Take all your meetings outside if the weather permits it. Especially those that don’t require presentations and computers. Julie Meek has a great idea about these meetings, also. She suggests to encourage stand-up meetings at your workplace. It is great to end those meetings on a good note. So, listen to Ros Ben Moshe of LaughLife Wellbeing Programs and add the Good News Item on your meeting agenda. Everybody should take turns and share some good news. It will take a minute, but it will boost the morale significantly. 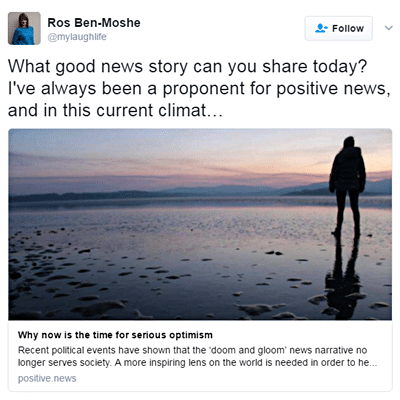 Ros Ben-Moshe Twitter post about sharing good news for daily optimism. One more extraordinary move you can make to boost the team morale and refresh your employees is organising corporate team buildings. Take a look at what the founder of Uplift Events has to say about the importance of corporate team buildings. ” Keeping a corporate person healthy and motivated in the workplace is not only physical, but mental. It is also a result of the company’s culture and how they value their staff. A healthy and positive team culture brings out the best in people, even in adverse circumstances. 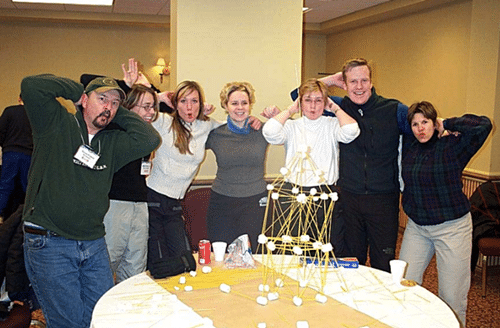 Corporate team building plays a huge role in moulding a company’s team culture as we help companies recognise the importance of employee engagement and staff recognition, and how that will result in happier, healthier and more motivated employees. The investment in team building events could help a company’s bottom line through increased productivity, increased sales, fewer absenteeism and reduced turnover of staff. Looking after an employee’s health and wellness will increase employee morale, happiness, and sense of belonging which will reduce employee turnover. It also sends a clear message that the company they work for cares about them. They have numerous suggestions but some of the most popular team building ideas are City Survivor and Murder at Labassa. There are many toxins that find their place into the office air. Formaldehyde, chemicals from different paints, adhesives, and other pollutants tend to stick in the environments with poor air flow. You can get rid of them, or at least seriously reduce their impact by getting a couple of air purifying plants for your office. They need some maintenance which is, in a way, micro-gardening. Everybody knows that gardening calms the nerves. So, plants will reduce your stress, block the noise, purify the air and look good. 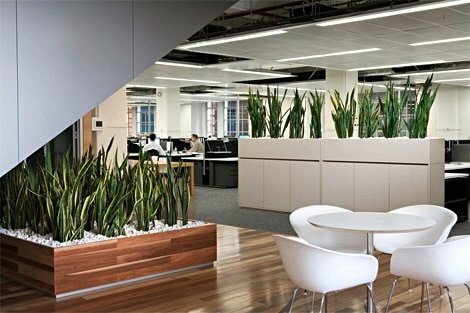 Improve your office by making it green and fresh by adding these indoor plants from Ambius. There are many diseases that are a direct consequence of the poor hygienic conditions. This includes spreading different bacterial and virus infections. Fresh & Clean’s hygiene solutions to ensure fresh, hygienic and healthy workplace. Satisfied employees are not sick employees, so do your best to maintain flawless hygiene in your workplace. Having face to face meetings improves on building interpersonal relations within the office. Those pedometers are going to show some additional steps if you need to get up every time in order to speak to somebody. Another way to boost the number of steps and to get up from that chair is to make sure everybody has their headset. Encourage your workers to walk while having telephone conversations. Also, make sure that they always sanitise their headsets since it can be packed with bacteria. Always have the very efficient and properly sanitised wipes around, so that your employees can use them any time to sanitise their workstation. It is nice to be appreciated. Positive feedback definitely makes your employees feel better about themselves and their workplace. Introduce a board on which everybody can thank everybody else for something nice they have done during that particular week. Casual Friday is great, but you need to give some dress code guidelines for it. Not everybody has the same idea what is acceptable to work and what is not. So, make sure you are understood. Also, ask your employees to wear classic office attire if they have business meetings on Friday that involve meeting with clients. Useful office casual attire ideas from Pinterest. Let the weekend start a bit earlier and loosen up the discipline on Friday. Consider cutting down the office hours to 6 hours on Friday. Sweden already made that move and a step further. Sweden now has 6 hours a day workweek. It gives some interesting effects. 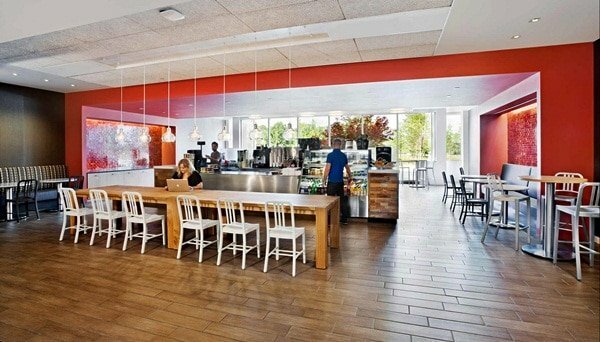 Facebook offers rent allowance to the employees to agree to move to the Silicon Valley. Gallup survey says that long commute increases stress, back and neck pains, high cholesterol and obesity. Also, those employees that live within 5 miles from work are 20% more likely to work longer hours. Google, Uber and Procter & Gamble are just some of the famous names among the companies that recognised the importance of power naps throughout the day. The benefits are numerous! 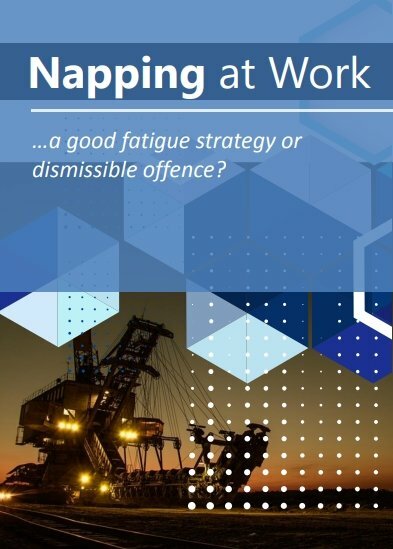 Ethos Health has even a guide about napping at work which you can easily approach by clicking Download under the image. Allow your employees to power nap by having nap pods inside your office/company. PodStyle is a company that makes these pods in different styles and sizes. It is interesting to read their workplace case studies with their partner companies. Nap pods in the workplace – Potato. Playful and active lunch break is just what a busy and stressed out employee needs. Therefore, turn your workplace surroundings into a park or a playground area for adults. This emphasises the importance of connecting with the nature to achieve the wellness levels you desire. Park like surroundings can make it happen. There are always new trends and new ideas on how to make the workplace healthier, safer and efficient at the same time. Compile those ideas into a newsletter and sent it out to your employees on a regular basis. Do it via email, so that you save the environment. Get lots of inspiring employee wellness ideas from this Pinterest Board by Meg. Make an agreement with a local organic food farmer and get a discount on the quantity. This will allow you to stock your office pantry with healthy foods for the wholesale prices. In this way, it will be cheaper for your employees to eat healthily. 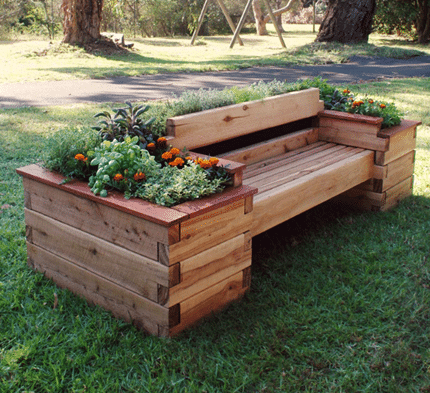 Take a piece of land and turn it into your joint office organic garden. Work out a system of points and allow your employees to get the produce in the amount of the points they earned by working in the garden. This allows for all the benefits that people get from gardening like physical activity and stress-reducing effects, plus some healthy veggies that are the result of their own work. Good workers deserve to be pampered. Offer coupons to spas and for massages and give it to them from time to time. Motivational speaker Jamie Brown of the Happiness Ninja suggests taking the idea of massage to the next level bringing in a massage therapist into the office. They would rotate and provide a free 15-minute massage to all staff once a week. Nobody likes to be stuck in a dead-end job. In order to be able to make career advancements, employees need new skills and knowledge. Offer professional development courses that will allow interested employees to learn more. It is always good for business if there is somebody around the company who can speak more than one language. However, learning a second language has other health benefits, as well. Boosting the overall happiness levels of your employees will make them better workers and more satisfied persons. At times, your employees will want to improve their lives, but they do not have the idea how. Help them and offer personal growth courses after work hours. It is easy to be bad with your money and make bad financial decisions. When that happens, it can lead to a situation in which a person feels that they work hard and earn nothing. Prevent that from happening and offer personal finance courses that will allow your employees to master their personal finances and increase their life quality. Those new mommies and daddies that have troubles finding good day care will not be able to focus on their work, no matter how hard they try. Make a day care in your office building or partner up with high-quality child care services that will solve this problem for you. Family day is one great way to boost happiness and good mood in your office. This event can be organised to reward staff for their hard work, and thank their families for the support. 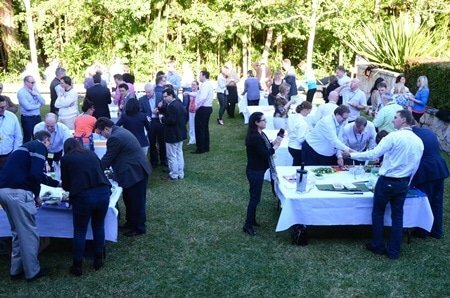 Organising an event like this will also show that the company and the staff are more than colleagues. It says we are a team, we are a family. Everyone can bring their spouse, and their entire family to work or to a local park where they can play with their children, socialise with their colleague’s families and most importantly, have fun. This will tilt the work-family balance a bit over to the family side. Offer generous paid time off in case of family emergencies. This makes your employees feel more appreciated and more dedicated to the company. Google allows a day off work to their employees if that day is spent working on personal projects that have something to do with their company work. This resulted in Gmail and AdSense. Think about introducing similar practice in your workplace. Having the employee birthdays noted and celebrated is a nice way of showing that you care about them individually. You can make a creative birthday calendar board where you post all the birth dates of your staff. It’ll be fun to see everyone looking forward to someone’s birthday. You can also send a ‘send-to-all‘ birthday email every first day of the month to have an early start for the birthday celebrations of the month. Give your employees a promotional pen, or a promotional notebook (with an attached small birthday card, maybe) every birthday. These small tokens and acts of thoughtfulness are greatly appreciated and will make them love their job more. Birthday decoration in an office for a surprise birthday celebration, image from Flickr. Encourage your employees to get together and form a Healthy Lunch Club. Julie Meek also suggests this. Members of the club can decide on their activities once they start meeting. You should make it easier by allowing them to use your premises, giving them flexible lunch breaks and support them in every way possible. Depression and anxiety are very serious conditions that have a certain social stigma about them. Make your workplace a safe area for those employees that have to deal with these issues and raise the awareness about them. Stop Smoking poster. Free download and print. Smoking causes several serious health issues that are better avoided. 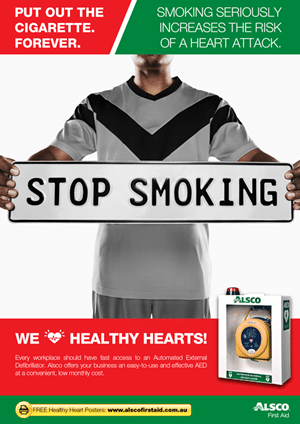 Make fun and efficient anti-smoking campaigns or become a part of already existing anti-tobacco efforts in your area. In 2013, mental stress cost Australian businesses $10 billion. Educate your employees on efficient stress relief techniques. You can download and offer Stress Tip Sheet compiled by the Australian Psychological Society. They even come in the form of posters. The very useful Stress Management Poster from Australian Psychological Society. Declare your office a bully and mobbing free environment. Do not tolerate even the slightest instances of such behaviour. Workplace bullying can be associated with workplace violence and misconduct. It can greatly affect work performance and wellbeing. Most times, these are not reported and at times, not even recognised. Even verbal aggression is out of the question, no matter how ‘funny’ some people may find it. To avoid office bullying and mobbing, talk openly against bullying through training programs and create channels for employee-employer communications for issues such as this. Employees that come from different cultures will be more appreciated by their coworkers if they know more about their cultures. Organise great Harmony Day and allow everybody to learn more about the richness of their environment. You can promote them by using the lovely and freely downloadable infographics available at the Harmony.gov.au, a website dedicated to the Harmony Day. Make a more harmonious working environment by bringing your employees closer together. Organise book clubs or other hobby clubs where they can socialise and share their interests. Andi Lew suggests to encourage a library of books to be donated at your workspace. If you have finished with your book, pay it forward. This way, you can read the books of others that are recommended and you can also be surrounded by a community of those on a similar employee wellness crusade which will inspire support. When an employee is too busy with work demands and responsibilities, they tend to skip sleep to work longer and even finds it hard to sleep. This tends to backfire as lack of sleep can have some serious consequences. Employees who got lesser than 7 hours of sleep may feel sluggish and unproductive during the work day. So if your employees take longer times to finish a task, he or she likely need more rest. Encourage your employees to learn more about good sleeping habits and how to introduce them into their daily routine. For some people, falling asleep is only a matter of getting into bed. For others, it is a much more challenging task. This can be fixed and good sleeping habits can solve this annoying issue. Good Sleep Habits facts for everyone by Sleep Health Foundation. It is worth your while to invite an expert to teach it to your employees. Free time is essential for a good work-family balance that is essential for the employee wellness. Guarantee your employees that their weekends will be free and that any overtime will happen only if agreed upon. 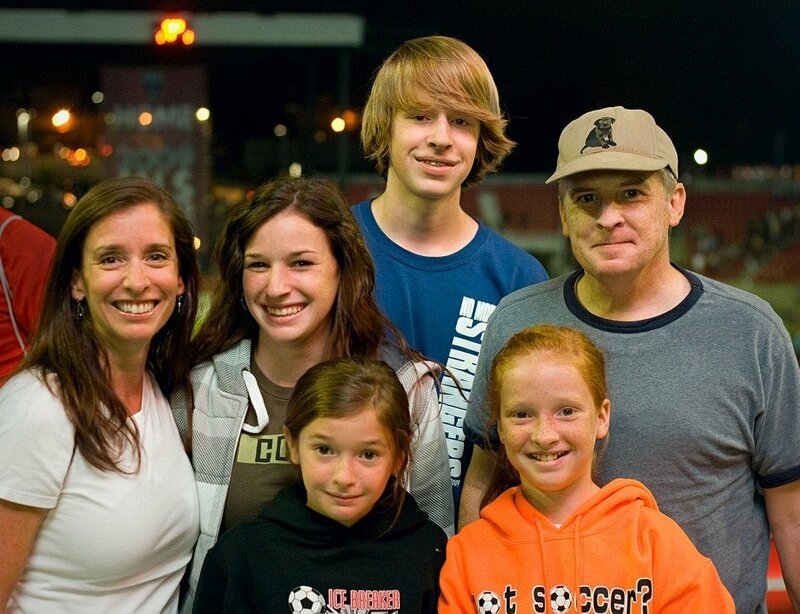 Genuine happiness like no other with our families because everyday is a family day. Muneesh Wadhwa encourages people to ask themselves what are they grateful for every day. Adding different things to this list and reading it again on the Monday of the following week helps people feel better about their work. This is also what Dr. Timothy Sharp (Dr. Happy) says. He claims that people should focus on what they have rather than on the things they don’t have. Moreover, he advises to focus on things that one can control and accept the things that cannot be controlled. The Langley Group says that there is a research which shows that gratitude gives people a big boost to happiness and wellbeing. Thanking or praising someone makes them feel good and makes us feel even better. If it’s reciprocated, it has a ripple effect, spreading happiness and positivity to others. Also, boosting the mood can be done by making an attempt to develop a more optimistic explanatory style when talking what is happening to us. This makes the experiences more enjoyable and that is a great mood booster. A lot of time is wasted on the social media. It reduces the free time your employees already lack. Therefore, show them the benefits of social media timers that can improve their life quality. Rent a karaoke machine or organise a costume party. It will make your coworkers relax and get to know each other in different situations. 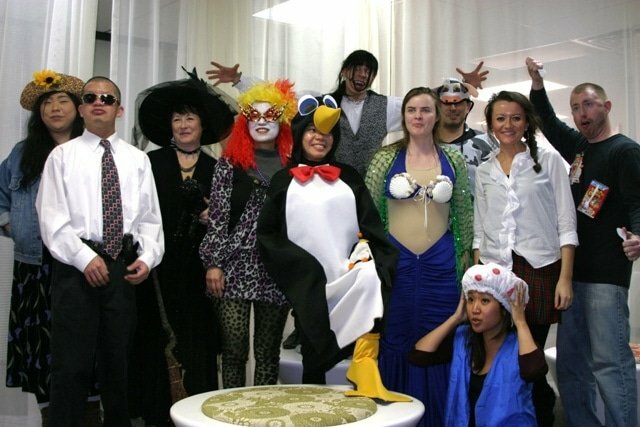 Let your employees enjoy by organising a costume party, image from Flickr. Moreover, they will have fun together, which is always great. Give your employees a chance to brag about the fun they have in their workplace. These will definitely bring out some smiles and laughs. That is just what the good doctor prescribed and the doctor is Dr. Megan Oaten. She reminds that humour and laughter can reduce the effects of stress. Do not limit this action by a time frame or something similar. Introduce it as a way to show appreciation between employees, ‘just because’. It is a great way to brighten your employees’ days and it makes a more positive working environment. Dr. Timothy Sharp (Dr. Happy) says that spending time with friends and building positive relations is vital for health and happiness. Acts of kindness will definitely help build such relationships. This can turn into a really fun day that brings your employee closer together. Being around your pet eliminates stress and makes you more comfortable. Also, enjoying the company of other dog lovers is always a plus. June 23th is perfect for this since it is the International Take Your Dog to Work Day. Make sure your employees follow the guidelines. Take Your Dog To Work Day Facebook page. This is a big challenge for every parent. That is why there are courses and counsellings that help parents during this period. Hire a professional to help your employees that struggle with this issue. It will help them solve some of their biggest problems and it will make them feel appreciated. 108. Get on board the Smile Train! 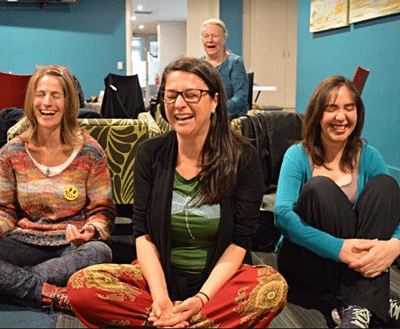 Laughter Yoga sessions conducted by LaughLife Wellbeing Programs. There are some of your employees that speak a second language. Others may be very good at PhotoShop or accounting. Organise knowledge swaps and offer your offices as classrooms. There are many perfect homemade recipes for jams and pickled food. They are always by far healthier than the industrial versions. Organise office ‘jam sessions’ where everybody will be welcome to come and contribute to the jam manufacturing afternoon and bring home some of the stuff that has been made. Check out the list of homemade jams and jellies from Pinterest board by Carroll Hayes. Adult colouring books are all the rage today and there is a good reason for it. They have many mental and emotional benefits. It reduces anxiety and improves focus and mindfulness. Make these fun stations and allow employees to take some breaks during really stressful days. And if you ask Dr. Timothy Sharp, he will tell you that having fun and taking a break from the workplace seriousness are very important for boosting your happiness. It is much easier to face the workplace challenges when you know why you are doing all those things. Make it a daily habit around your office to talk about the good impact of your work. How does it help your customers, employees, suppliers, community? How does your work make the community a better place? How are you contributing to a better world? How do you help each other do your jobs better? Purpose is about serving people or the planet – how are you in service to others? The Langley Group also says that many people avoid goal setting because they are scared of failure. Take time to set some big and small goals and encourage your team to do the same. Make your goals personally meaningful and enjoy the boost to your well-being once they are achieved. The Langley Group also says that staying in the present moment sharpens your focus and helps you appreciate the little things. Clean up the top of your building and set up space with chairs, tables, benches and even cantilever umbrellas to create a nice and comfortable lunch area for your staff. 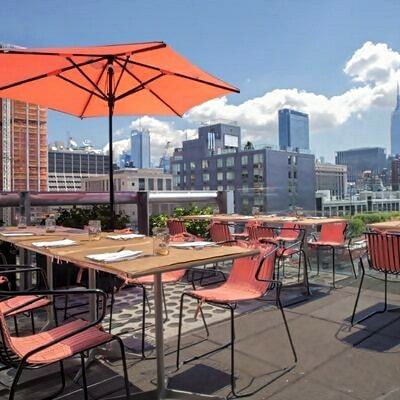 Invite your employees to bring their lunch for a not-so-ordinary rooftop lunch break. A change of environment and a breath of fresh air will give them a much-needed dash of positivity at the workplace. You can also encourage them to take the stairs to the rooftop instead of using the elevator to burn extra calories. Paid Days-Off Awards for exceptional employees can be used as an incentive or as a recognition for their accomplishments. Incentives such as this can help motivate employees to give their best without stressing too much. They will focus more on the goals and the rewards and not on the challenges. If you know that there is an extra something for you if you go above and beyond your duties, you will gladly overcome all the downsides of your work. This creates a more positive environment, reduces workplace-related stress and motivates employees. It’s too good of an idea to pass on. There are some simple questions you can ask yourself to determine if you are fostering a positive and enjoyable environment for your staff, enabling them to be the best that they can be. These questions will hopefully cause you to rethink your leadership approach and encourage a higher staff wellbeing focus. 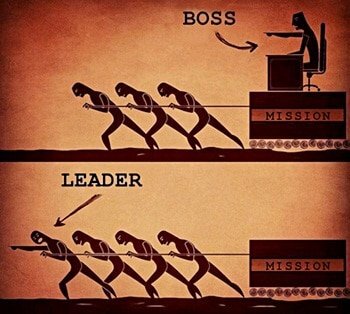 A leader develops his people and shows how things are being done while a boss commands and depends on his authority, image from Flickr. Do I praise and reward staff for a job well done regularly? Do I express gratitude to multiple employees each and every day or do I only ever complain when staff doesn’t meet expectations? Do I provide opportunities for my team to receive feedback on their strengths to develop increased self-awareness? Do I communicate a ratio of approximately five positive messages for every one negative message to all staff that I interact with? Do I demonstrate forgiveness for mistakes and errors, instead of throwing out punishments and holding grudges? Do I allow staff to do tasks that they actually find enjoyable and meaningful or do I force them to do things they hate? Do I provide ongoing and consistent support and development to staff who may not be meeting their KPI’s and targets? If you are answering most of these questions as “no”, then it might be time to make some changes in the workplace. You might just be surprised at the positive outcomes of doing so. It is so easy to get overstuffed during holidays. A lot of dishes that are traditionally made on those occasions are just delicious. Invite your employees to take a ‘Half a Portion Pledge’. Invite them to take a photo of their portions and share them on your company Instagram or Facebook page. It is very hard to say no to holiday food. Therefore, you can make the effort to make it healthier, at least. Bring your healthiest and most delicious recipes to work and swap them with your employees. Some of the food can be donated, but the most of it is best eaten when shared. Organise a leftover party after holidays, where everybody can bring the food that has not been eaten. It will be fun and it will bring your staff closer together. Have a healthy life by having a healthy heart. 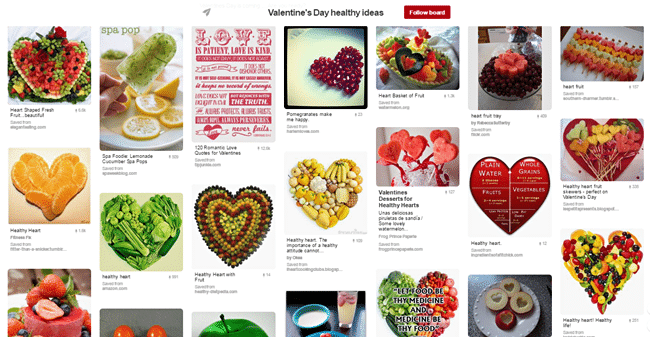 Try out these Valentine’s Day fun and healthy ideas from Pinterest by Amazing Health that are good for your heart. Invite our employees to do something good for their heart on the Valentine’s Day. Everything that benefits your heart goes. Fresh air and a change of scenery are always welcome at a workplace. Picnic Day is a thing that combines those two together. Assign responsibilities and put an accent on healthy food and fun activities. It is not hard to organise the Secret Santa around the office and it is always fun and interesting. This is one of those games that boosts the morale and makes employees feel better about their work. Even though you may not have a lot of Irish people in your workplace, it is still a nice theme. Especially since it will inspire your employees to eat healthily. Follow this list of green and healthy Irish-inspired St. Patrick’s day recipes from Pinterest by Vegetarian Times board. A lot of tricks or treating results with a lot of sugary snacks around the house. However, healthy pumpkin treats can be made and enjoyed as a healthier alternative. Invite your colleagues to share some of it at work and exchange recipes. 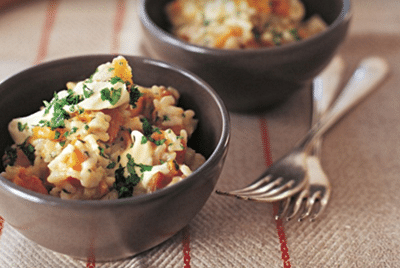 Honey-baked pumpkin risotto recipe by taste.com.au. Plan and organise a nice holiday potluck party for your office and limit the food choices to sugar-free or organic-only recipes. This is a great way to trick your employees into eating healthily during the holidays and avoid holiday weight gain. Making this simple condition a rule of your potluck party will make food preparation and recipe choice more interesting and fun. However, this kind of potluck will be much more than just fun. It will be educational, a well. It is a great opportunity for your employees to taste this kind of food first hand and see that it is not hard to prepare and that it tastes even better than the less healthy option. There are tons of different sugarless cookie recipes. Organise a swap and pick the best sugar-free cookie. It can inspire your coworkers to make healthier choices for their desserts. Julie Meek warns about chocolate and other junk food fundraising. They are quite frequent during the holiday season. Replace those with healthier options. Set a day for your office when your employees can bring their kids to work and show them around. For the employees, this is the opportunity for them to showcase their work to their kids and to introduce them to their colleagues. It also allows for more quality time spent with their kids. For the kids, this is an opportunity to have career orientation even at an early age. It can also help the children understand their parent’s work much better. This will improve the work-family balance in your employees’ lives which has a direct impact on their overall wellness. 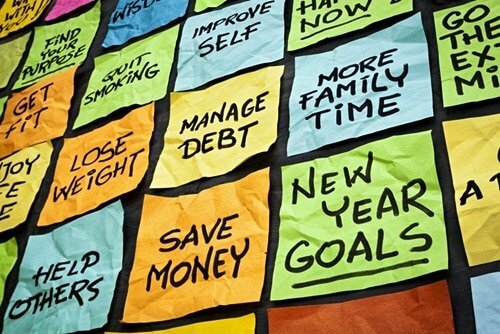 New year resolutions are fun and exciting to make, but very difficult to maintain. It’s tough to keep the enthusiasm going, but it’s not impossible. Collect wellness resolutions from each of your employees and post them on your company board or post them on each of their workstations to remind them every day of their wellness targets. Inspire your employees to make these wellness resolutions for the New Year and reward those who endure with days off work. Encourage your employees to have a firm resolution not only for the New Year but for every day. This will make them happy and better employees. A holiday season can be tricky and people tend to go over the top with food. Set clear weight and dietary goals before the holiday season and stick to them throughout the celebrations. Do that with the entire office and make it public. Freeletics allows you to track your exercise achievements and even find workout buddies. Invite your employees to make a profile there and turn it into a fun competition. 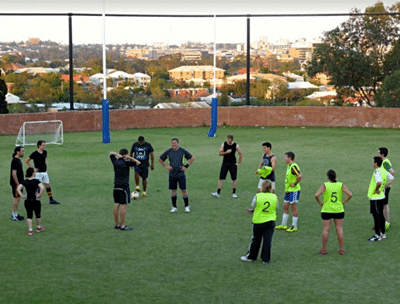 Learn which sports your employees enjoy playing and organise company-wide leagues. If the idea lives, turn it into a cross-branch thing, or compete with other companies. Having your employees participate in a company sports league creates a really good bond and connection within your employees. This can be beneficial both to the company and the employees. It’s also a fun way to exercise and relieve stress from work. Plus, your employees will get to meet new people within the company and make new friends. Corporate Sport organised by SportUP. Go to your warehouse and measure everybody in the office at once. Try to lose weight and measure yourself regularly. It will be a joint effort. You can come up with a joint award for everybody when they show progress. For example, you can award the entire office with a corporate cookshop where they can learn some very neat tricks on how to make their nutrition healthier and better. NWBC cooking workshop for employees. There are many versions of pedometers today. There are even some great step counting applications for your smartphone. Use them and make a contest for your employees. The recommended number of steps per day is 10,000 to stay fit. Each person can commit to 10,000 steps, 12,000 steps or 15,000 steps per day over the contest period (contest could be one, two or even four weeks). Steps should be recorded or self-logged daily. At the end of the contest, those who selected a goal and achieved that goal earn recognition. Recognition can be such things as a virtual badge, published in a news story, the achievers list promoted on the intranet, photo of the group, prizes, etc. Here is a complete guide from Victoriawalks.org.au on how to conduct a Pedometer Challenge. Figure out some prizes that would excite your employees and set up your company’s version of ‘The Biggest Loser’. It may not just be about losing weight, it can also be lowering blood sugar, cholesterol levels, etc. Figure out the prizes with the rest of your employees. Let them be inspirational and worthwhile for your employees. Turn the efforts for the healthier lifestyle into a game of earning points. Taking the stairs is 5 points. Healthy lunch 2 points. Exercise at work can earn you 10 points. Pick monthly winners and figure out awards. Positive feedback does wonders for morale. So, publicly celebrate all small victories and steps toward wellness goals your employee make. In this way, everybody can focus on the good things they did and the things they generally do well. Dr. Timothy Sharp claims that is one of the keys to happiness. The Langley Group advises that people should be congratulated on the job well done and the good things that will happen from day to day should be savoured. Acknowledge the good things that your team achieved and give them a chance to celebrate their success. There are many great ways to appreciate the good works and successful achievements of your employees, always acknowledge them for their job well done. Create a short, multiple-choice quiz on living a healthy lifestyle. Everyone who completes the quiz by the deadline is put in a drawing for a prize. Announce the winner(s) and all the correct answers in a news story, and highlight the most common incorrect question(s) to reinforce the right answers and correct myths and misperceptions. Set clear expectations from your employees. Admit that the management is not always perfect and that there will be challenges, but make your expectations clear. That will prevent the employees from becoming frustrated at work. Inspect your expectations. Rather than expecting that something needs to be done in a certain time-frame in a certain way, instal checkpoints to monitor progress and tweak your expectations if necessary. It will take a load of stress from your employees. People often make decisions to lose weight when they should really focus on their health. Not all people need to lose weight. For some of them, that can even be dangerous. Instead, make slight changes to healthy eating habits, choose healthier choices and focus on improving your overall health. As your employees focus on improving their health than on weight loss, it’ll make them feel better about themselves. Challenge your employees to have raw food lunches for a month or so. See who can keep up with that. 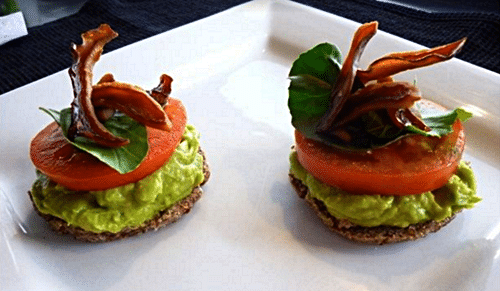 “Breakfast Bagels with avocado, coconut bacon and tomato” from The Raw Food Institute of Australia. The contest you organise should definitely be fun, a bit challenging and doable for your employees. Take into account their fitness and health levels. Keeping your body physically active is the key to maintain a healthy lifestyle. But sometimes, it is good to consult your doctor first before engaging into physical activities like working out. Marathons, races, calorie counters and similar challenges can be wrong options for some of your colleagues. Before starting any of them, make sure your employees get a medical checkup and an ‘ok’ from their doctor, especially if your employees are over 40 and has heart problems and other risky conditions. A fun run is a friendly race usually geared towards raising money and awareness for a good cause. Organise a charity race or a fun run program and invite your employees and even their families to join the event. It’s not just about winning or losing. What is more rewarding than having fun doing the workout you love while at the same time, doing a good deed. Charity races and fun run like this can keep your employees fit, but this will also give them a satisfaction of knowing that they did something good for a bigger cause. Scavenger Hunts is a great team building activity. Everybody gets divided into teams and tasks that they need to complete by foot. Create tasks that challenge the analytical and strategic skills of your employees. That is what makes them engaging and entertaining. This fun activity always brings employees closer together, gives them practice in collaboration and boosts office morale at the same time. If you do not want to it yourself, you can hire team building experts like Scavenger Hunt Anywhere. Tower building activity for team building by Scavenger Hunts Anywhere. Expanding vocabulary and memory skills come as an additional perk to having fun in the office by setting this challenge. Set a word of the day challenge through email and get everyone to reply with their first guess. The first one to send the correct answer is the winner. TIP: Pick a ‘word of the day’ that is related to your service or product. This will not just expand your employees’ vocabulary, it also gives them a little more detail about your business. This is also a great chance to get your employees interact and engage with you. Turn your employees’ work tasks into day-to-day challenges. Gary Ng claims that this increases productivity and makes the work day pass a lot faster for those in the office. Furthermore, he claims that employees reported that they would agree to be paid less if their workplace came with the daily challenges that would allow them to make certain and constant progress, without too much stress. 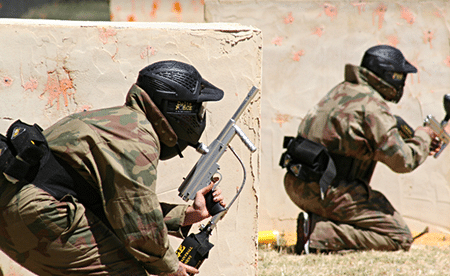 Paintball definitely makes one of the most common and most effective team building activities. Organise competitions within your company or even against other companies. Paintball tournaments are unforgettable experiences. Exciting team building activities perfect for your employees such as Paintball Games by Australian Paintball Association. For those that are not that weapon-oriented, and those who frown upon paintball, have a recreational room and organise tournaments in Wii sports. This includes dance competitions, as well. It is fun, interactive and engaging indoor activity that anyone can take part in. Your employees can choose the games that they want to use for the tournament. You can either organise the competitions for single players or teams from different departments. And you can also serve or sell healthy snacks to complement this recreational activity. When a company is big, there are lots of employees that do not actually meet in person. Bringing them together in company organised get-togethers will increase the feeling of belonging to the company itself. There are several ways to organise a good cook-off. Here are two suggestions from Louise Soriano from BI WORLDWIDE (Australia). “Pot luck” lunch of healthy dishes. Everyone brings a dish to share which invites team building and conversation. During the lunch, each person votes (one person, one vote) on their favourite dish. After meal clean-up, the top three winners are announced. Winners might earn a prize or simply just bragging rights. Healthy recipe contest: 2 – 4 healthy recipes are published, and individuals choose which one they’d like to make. Everyone brings in their take on the dish for sampling and judging. One winner is chosen for each dish. You can even divide people into teams instead of doing this as an individual activity. Having a great company usually, means attracting the top quality talent and keeping them around. Excellent workers don’t have much trouble finding well-paid jobs, so luring them in with money doesn’t work that well. But, if you are ready to offer your awesome employees a fun and enticing environment, wellness programs and a job in a company that goes over and beyond to keep their employees happy and healthy – everybody will choose your company over any other. So, by doing your best to improve employee wellness at work, you will attract the best workforce, reduce sick days and absenteeism and increase the build stronger business. Moreover – working in such a place is fun! Therefore, think these tips through and see what you think can work well in your working environment. 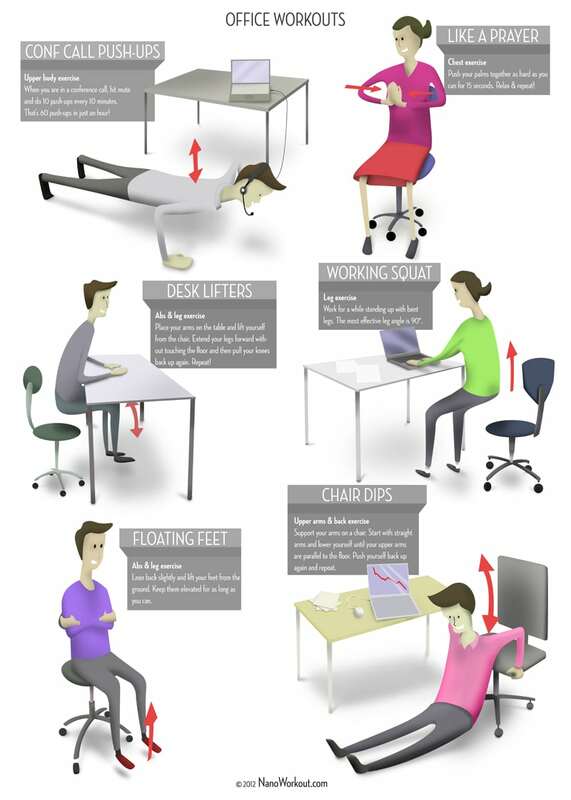 Even if you cannot copy them directly, you can tailor some of these tips so that they match your workplace conditions. Need help in keeping your workplace healthy and hygienic? Fresh & Clean has a smart, hassle-free solutions that are tailored to your specific business needs. Get in touch with us.